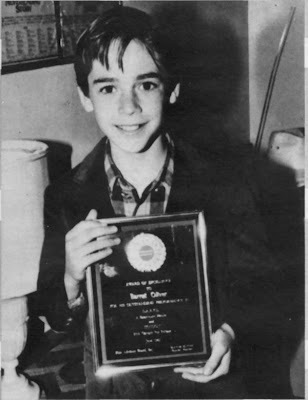 Barret Oliver won the saturn award in 1986 for his performance in D.A.R.Y.L for giving the best child performance in the Academy of Science Fiction, Fantasy, and Horror Films' opinion. It seems his performance as a boy robot looking for a family was undoubtedly his best role he ever played. Other award nominations fell under the young artists awards. Two were for supporting roles in T.V. series, and two were for his two major movie roles, as D.A.R.Y.L. and as Bastian with Noah Hathaway in The Never Ending Story. The Family Circle was a proposed sitcom with Barret, but never made it passed the pilot.